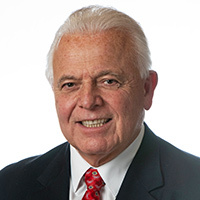 Senator Anthony Bucco, the Senate’s Republican Budget Officer, will soon submit legislation to limit the authority of municipalities to impose fees for emergency services. The move comes in response to a NJ 101.5 FM report that several municipalities in the state are considering increasing or imposing new charges on residents when police, fire, or EMS personnel are called to respond to an emergent situation. Senate Republican Budget Officer Anthony Bucco (R- Morris) delivered the following remarks to the Senate Budget Committee’s hearing on revenue forecasts for the FY 2013 fiscal year. Continue to do what has been working for New Jersey- what has helped us create 70, 000 private sector jobs- or go back to the type of fiscal recklessness that taxpayers have made it clear they no longer will tolerate. Senator Anthony Bucco (R- Morris) is honored to have been recognized last week by the Brain Injury Alliance of New Jersey for his work as prime sponsor of a new law requiring children under the age of 18 to wear ski helmets in an effort to prevent sports related brain injury. Senator Bucco and five other legislators were recognized as part of the Alliance’s advocacy efforts on National Brain Injury Awareness Day (March 15). A resolution sponsored by Senator Anthony Bucco renaming the Route 46 bridge in Dover for Officer Thomas E. DeShazo has been advanced by the Senate Transportation Committee. Officer DeShazo was the first Dover Police Officer in the town’s history to be killed in the line of duty. In 1930, Officer DeShazo sustained terminal injuries from a motorcycle accident while escorting a member of Charles Lindbergh’s family. 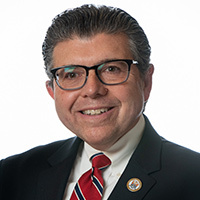 Legislation sponsored by Senators Anthony Bucco and Steven Oroho that would establish a funding stream for the maintenance of Lake Hopatcong has been advanced by the Senate Environment and Energy Committee. S-495 would dedicate $400,000 in state pleasure boat registration fee revenue to a newly created “Lake Hopatcong Fund,” which would pay for preservation and cleanup projects at the state’s largest freshwater lake. Click here to view video of Senator Bucco responding to Governor Christie’s budget address. The Governor has continued to make good on his pledge to the people of New Jersey to force state government to live within its means while supporting important investments in our state: property tax relief, higher education, aid to local schools, support for seniors and the disabled, and improving our business climate. 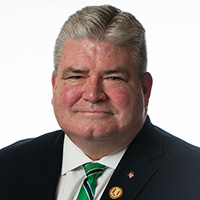 Senator Anthony R. Bucco (R- Morris/Somerset) today said he is pleased with the Christie Administration’s award of $259,600 in County Recycling Enhancement Grant Act funds to Morris County.